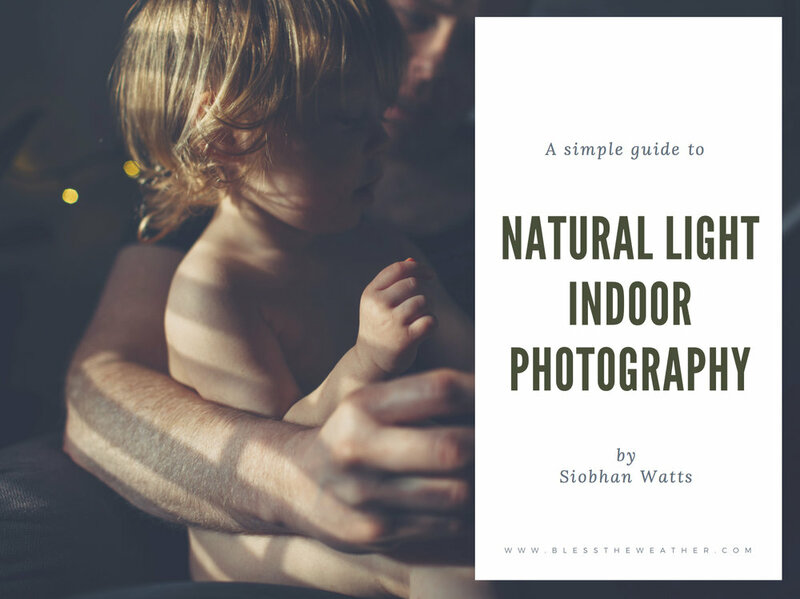 A Simple Guide to Indoor Photography - free download! I've been asking a lot of questions via Instagram lately about what area of photography my followers find most difficult, and overwhelmingly the feedback has been that they find taking pictures indoors really tricky. Whether it's the lack of available light, not knowing the right camera settings, or struggling with moving subjects and blurry images it seems that capturing our daily lives at home is something so many of you want to do but just aren't sure how to do it properly. I wanted to create a free resource for you that can help you look at indoor photography in a different way. Instead of focusing on the constraints, I want to encourage you to change your perspective and start using light as your subject. Pay attention to it, if you haven't before, get to know your space and how the light changes throughout the day and throughout the year. Get creative with your composition, utilise windows and pockets of sunlight to create beautiful, memorable images of yourself, your home and your family. To download your free guide, you just need to enter your email address here, sign up to my mailing list and the guide will be delivered directly to your inbox. I can't wait for you to read it, and I really hope you find it useful. Do let me know what you think of it! Send me an email, leave me a comment here of DM me on Instagram. This guide has been created with DSLR users in mind, but if you're a smartphone user there are some tips on lighting and composition that you will find useful. You can just skip over the technical stuff that doesn't apply to you. What other areas of photography would you like some help with? Let me know in the comments and I'll add it to my list for creating new blog posts and downloads.